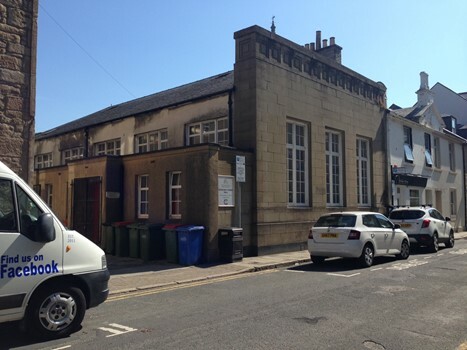 Shepherd Chartered Surveyors is offering a church hall with meeting rooms in Ayr town centre for sale. The single storey purpose-built church hall includes limited off-street car parking and delivery space. The 2,940 sq ft accommodation comprises a main hall, kitchen, store rooms, WC facilities, two upper floor store rooms and basement storage. The premises are located on Cathcart Street, a prominent secondary town centre location situated between Academy Street and Sandgate, immediately west of the main town centre retailing area. The area is one of mixed use with residential, retail and office premises within close proximity. The majority of floor space is taken up by the main hall with ancillary accommodation adjacent. The basement offers useful storage space and is accessed via a floor hatch. Offers over £70,000 are invited. Interested parties should contact the sole sales agent on 01292 267987.